10 Finger Licking Good Parsi Desserts To Savour This Nowruz! | CurrentBuzz! 10 Finger Licking Good Parsi Desserts To Savour This Nowruz! Nowruz or the Parsi New Year is tomorrow. We all have had heard and some of us have even tasted some of the most delectable dishes of Parsi cuisine like Lagan nu custard, Dhansak, Sali Boti and what not! Here are some of the more mouth watering Parsi desserts which will make you link your fingers in delight. Nowruz Mubarak! This is one of the most traditional dishes whixh are made especially on this auspicious occasion. It is soft, transparent confection which melts in mouth with a burst of flavours of rose water and dry fruits. You can get the recipe here. 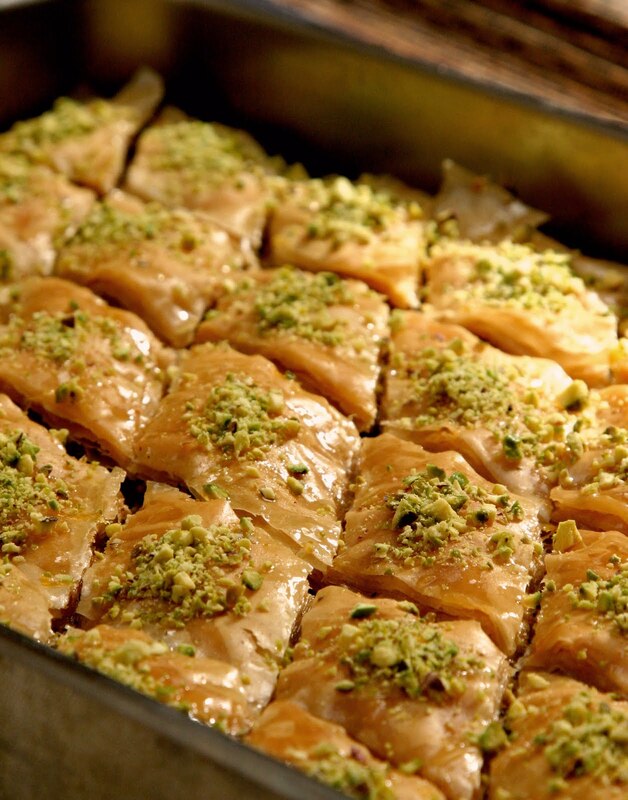 Baklava is a dessert made of puff pastry sheet which is sweet and the layers are filled with crushed dry fruits with the syrup of sugar or honey. Make sure you don’t miss a chance to taste this amazing dessert. You can get the recipe here. Another dessert filled with richness of sugar and dry fruits. Shekar polo is cooked rice on which caramel is poured and has the goodness of dry fruits. You can get its recipe here. These beautiful clover shaped cookies are healthy and are so tasty that you can never stop at one cookie. These healthy and tasty cookies are made with chickpeas flour, dry fruits etc. You can get the recipe here. Another variant of cookies made with an unconventional flour – rice flour, rose water and other things. Dig in for the recipe here. 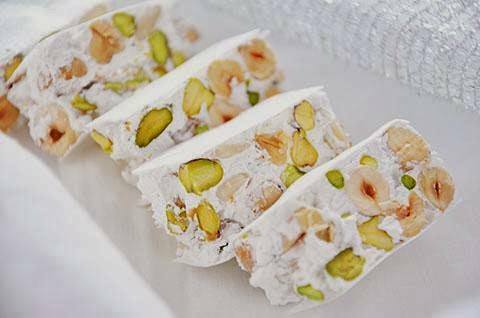 This dessert is often called as a nougat or a candy, but is quite different from its acquired labels. Gaz is another dessert or sweet you would want to dig in for and is also quite easy to make. Check out the recipe here. Koloocheh is often served masghati creating a combination of cruncy koloocheh with soft and translucent masghati. 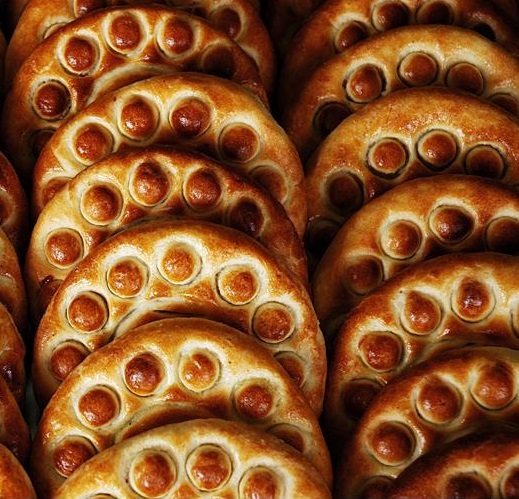 Koloocheh itself has a distinct taste of dry fruits and dates. Get the recipe here. Loze Nargil is a diamond shaped soft sweet made with rose water, dessicated coconut and pistachios. Get the recipe of this melt in mouth sweet here. These crunchy dry fruit filled caramel candies not only look gorgeous but also taste amazing. Get the recipe here. 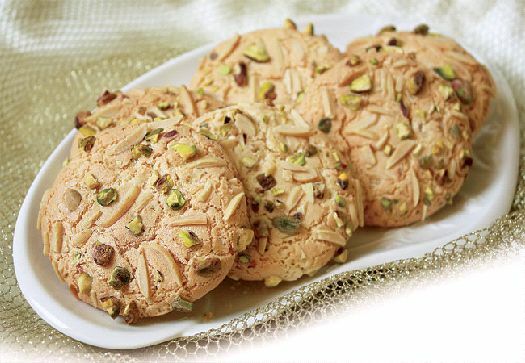 One of my favourite mouth watering cookies is made with flour and goodness of almonds. These are another but type of cookies which is certqinly hard for me to resist. Get this marvellous recipe here.